This is the next post in our series on defending against hit and run charges in Little Rock, Arkansas. Our last article provided an overview of topics we will be discussing and stressed the need to contact a criminal defense attorney immediately if you or a loved one have been arrested. Contacting counsel immediately helps ensure that the case will be handled correctly. In this article we will discuss another important topic – the penalties associated with such an offense. It is important to understand that a hit and run is not just “another ticket” and that the consequences can be severe. 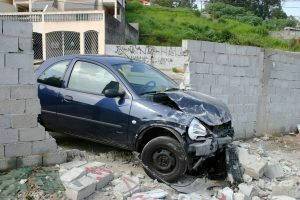 Arkansas requires someone to remain at the scene for a “reasonable amount of time” after an accident which results in damage to property or injury to a person. State law defines a reasonable amount of time as being at least thirty minutes. A defendant will not be considered as having fled the scene if the reason for which they left was to obtain assistance with the situation. A case which resulted in injury, death, or property damage will be charged as a Class D felony. This means that the defendant may face up to six years in prison and a fine of up to $10,000. This is in addition to having a permanent criminal record and the consequences which flow from it. As mentioned above, one may defend themselves by showing that the reason they fled the scene was to obtain assistance with the situation. It must be understood, however, that one will likely need to prove that they in fact did leave the scene for such a reason; jurors are unlikely to believe a defendant who says they fled the scene to get help but can provide no evidence of attempting to contact someone. If you had a cell phone on your person, but did not dial 911, then a jury is unlikely to believe that you left the scene to gain assistance. Other possible defenses involve identification issues in hit and run cases – a topic we will address in our next article. Contact our office today to speak with a Little Rock criminal defense attorney. Our lawyers have over twenty-five years of combined legal experience and are prepared to assist in such cases. We understand that you are facing a serious situation and our firm will take it seriously. We also handle matters in Fayetteville, Fort Smith, Springdale, Jonesboro, North Little Rock, Conway, Rogers, Pine Bluff and throughout the rest of the state.